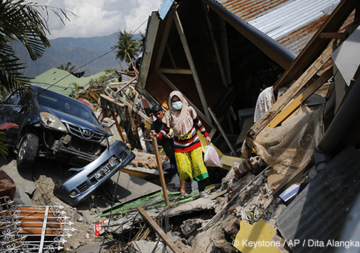 The tsunami in Indonesia caused immense damage and suffering. Several hundred thousand people are in need of humanitarian assistance. 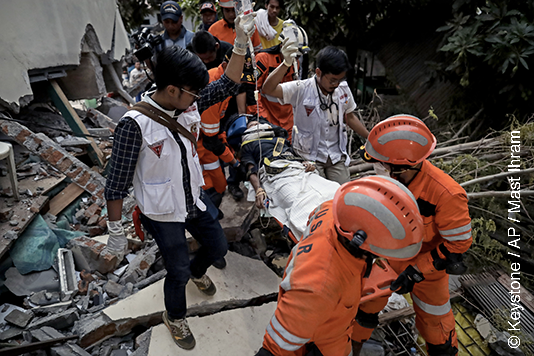 Our partners all work with local NGOs to help survivors. 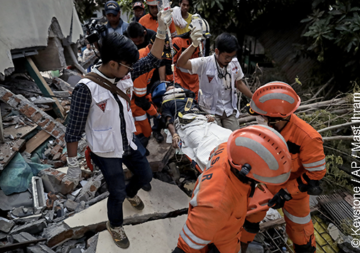 The earthquake and tsunami that struck the Indonesian island of Sulawesi on 28 September have left a huge devastation behind. More than a thousand people have died, more than 60,000 have lost their homes and several hundred thousand are in urgent need of humanitarian assistance. This assessment is still provisional. The full extent of the damage is yet to be determined. In the first phase, we finance the emergency aid with the donations collected, in order to meet the most urgent needs. 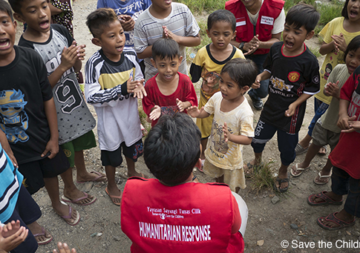 It is imperative to provide water, food, medicine, medical care and shelter. 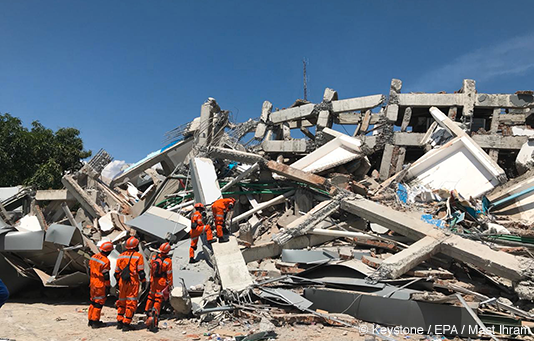 These projects are being implemented by our NGO partners in close collaboration with their local partners, who are active on the ground and have already started distributing relief supplies. In a second phase it is about helping the affected people to recover from the disaster. It is important for them to be able to earn an income again as quickly as possible and to take on a more or less normal life. But we will also finance projects to help the affected people repair or rebuild their homes. These should be earthquake-proof and offer protection and shelter. 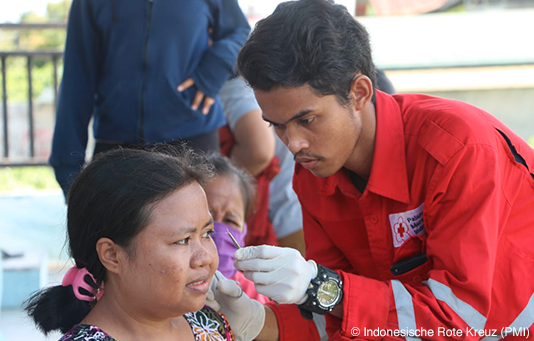 Swiss Solidarity has just reached 10 million francs in donations for the victims of the earthquake and tsunami that devastated Indonesia on 28th September. In view of the extent of the damage, the Foundation maintains its call for donations. 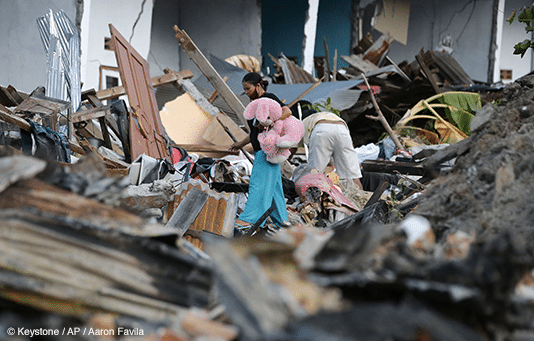 Destruction in Indonesia – the people urgently need help!